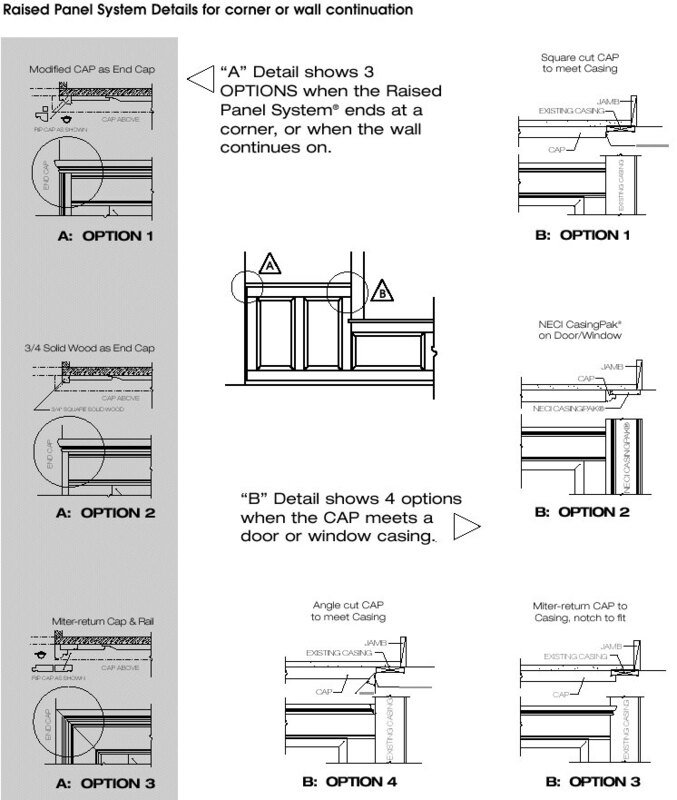 These drawings describe panel system details for corner or wall continuation and details for wainscot, counter, window sill, and shelf applications of various heights. Press your browser's back button to return to this page. 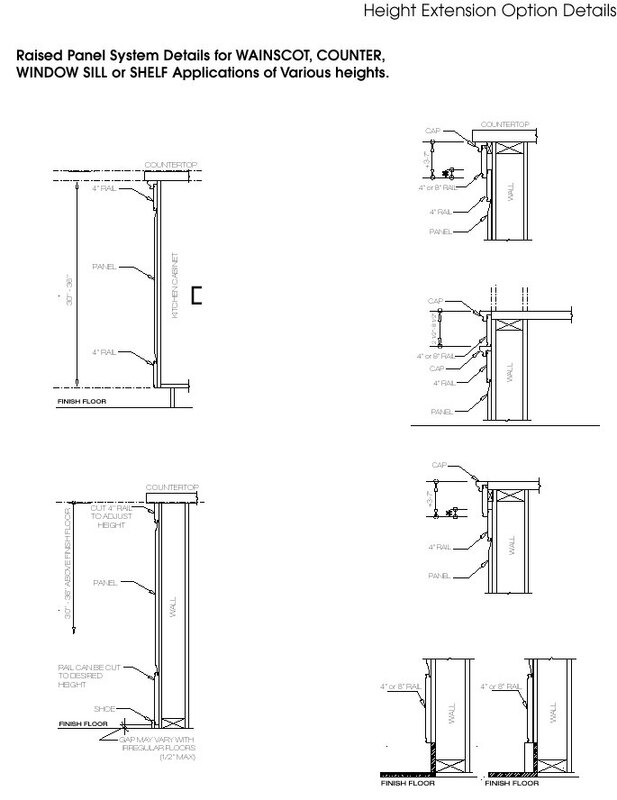 You may also want to browse the Project Portfolio for photographs of actual applications.